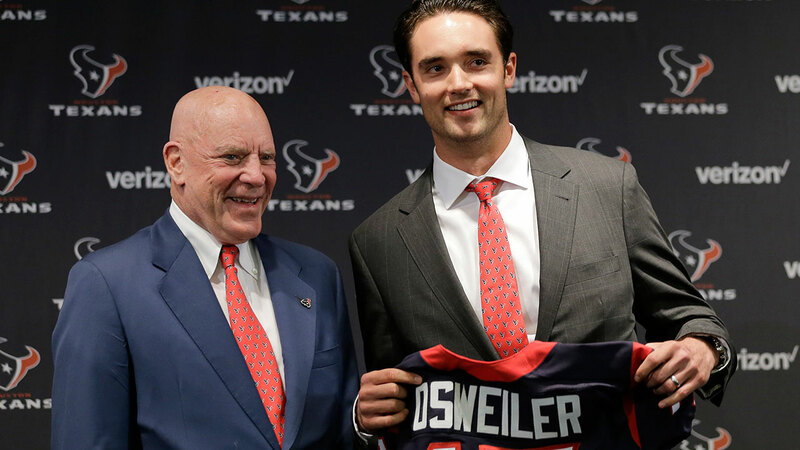 Brock Osweiler holds up his Texans jersey with team owner Bob McNair. 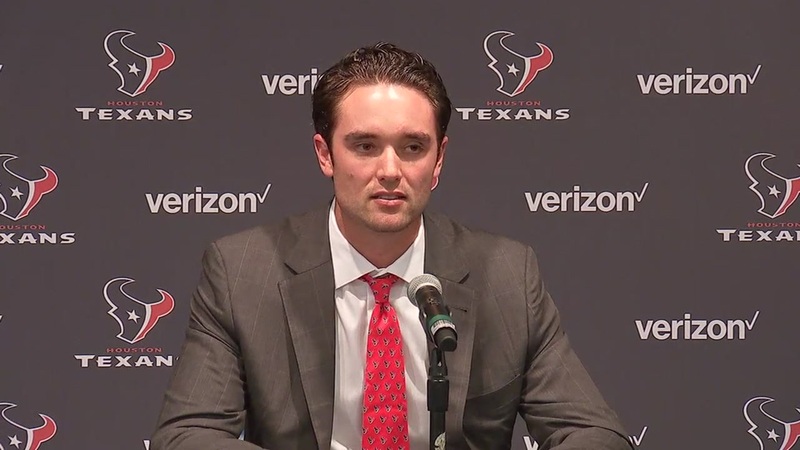 HOUSTON (KTRK) -- Texans quarterback Brock Osweiler's parents didn't have to travel for the press conference to introduce their son. They just walked across the parking lot. It turns out Osweiler's parents both work for RCS, the company that puts on the carnival that's up right now for the Houston Livestock Show and Rodeo, according to HoustonTexans.com. According to the team, his father is head of security and his mother is over guest relations. So they were able to head over to the stadium to attend the press conference. Osweiler also said that his father bought the first No. 17 jersey, but the team wouldn't give it to him until the signing was official. Osweiler is one of four new Houston Texans who met the media on Thursday. Brock Osweiler says he decided to leave the Broncos and sign with the Texans because he felt he had the best chance of success in Houston. 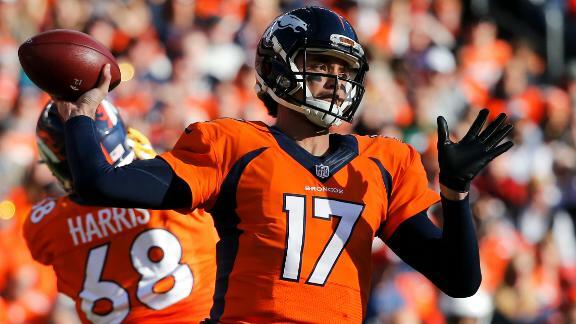 Brock Osweiler, the presumptive starting QB for the defending Super Bowl champion Broncos, will sign with the Texans, a source told ESPN. 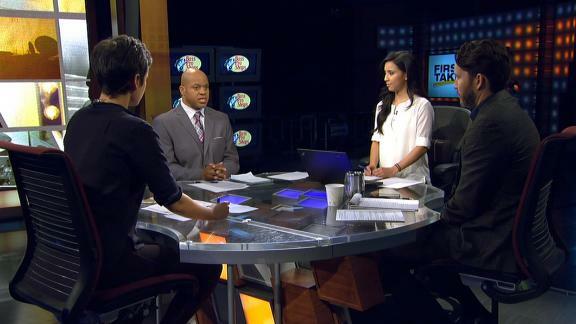 He will be joined by RB Lamar Miller, a source said.